If there’s one thing that was as much a sure thing as the Star Wars: The Force Awakens breaking the internet yesterday, it’s that there would be fans riffing on it within minutes of it hitting the interwebs. Star Wars is one of those massive pop culture phenomenons that seems to inspire endless creativity in those who love it, with the results ranging from fan films to cosplay to, well, just about anything you can think of. 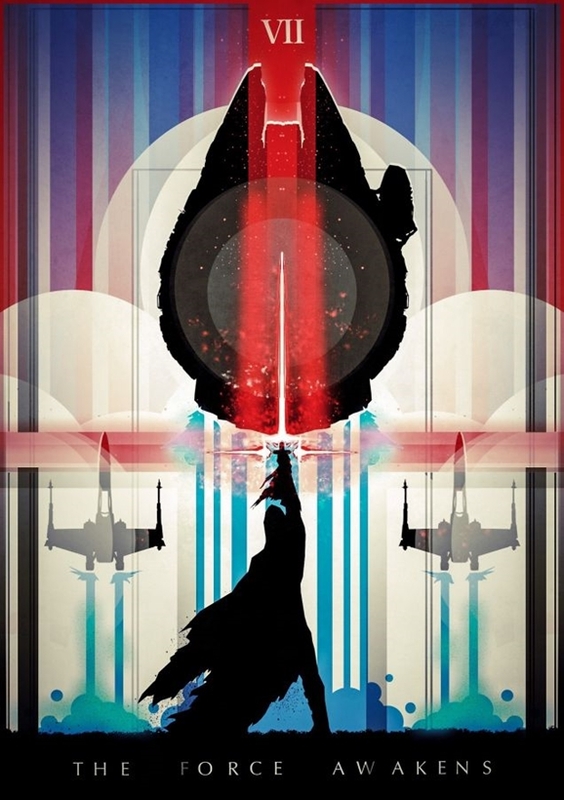 One of the first waves of creativity birthed by the Force Awakens trailer is an array of excellent artwork, much of it in the form of poster art that’s as good as anything Hollywood puts out. I know I’d clear a space on my wall for this one, which was created by Legion of Potatoes on Tumblr. Because there’s no way one single potato could create something this epic. 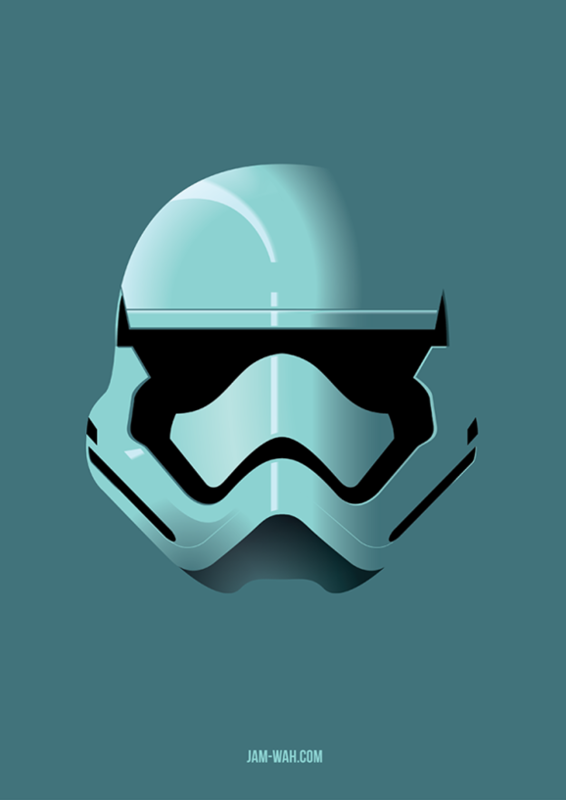 Or you could try a more stripped-down design, one that puts the focus on the bad guys. This one is the work of Orlando Arocena. Jam Wah decided that, if you’ve got the Big Damn Head, you really don’t need anything else. 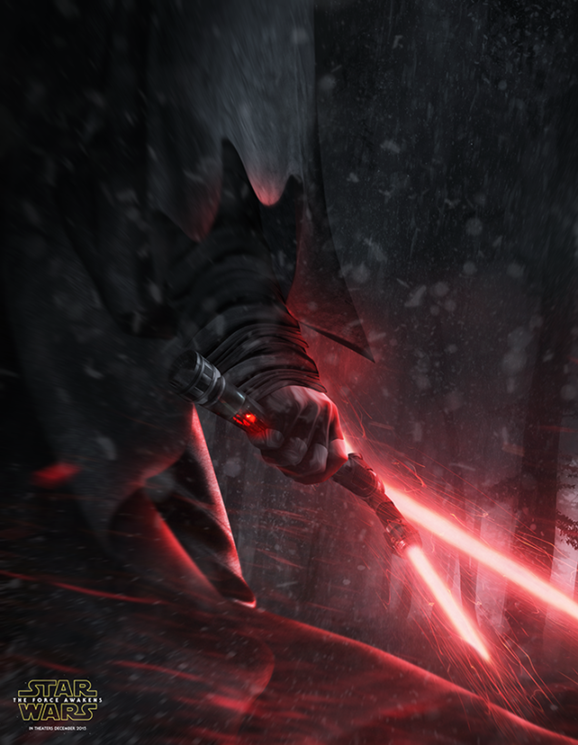 Unsurprisingly, that cross-beamed Sith lightsaber caught a lot of people’s attention, and it’s already been memed to death. 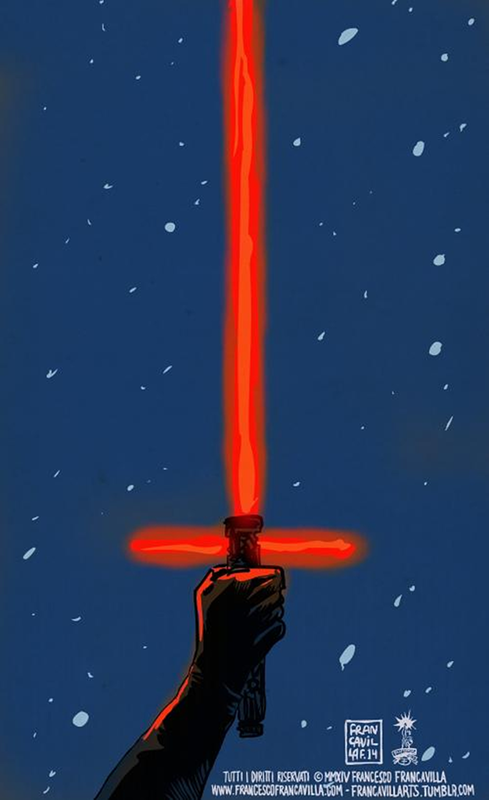 This one by Francesco Francavilla seems festive to me. Like it’s for a new Star Wars Holiday Special. Which is, by the way, a terrible idea. This one by Kode Logic on Behance manages to make a saber design that is, let’s face it, kind of goofy, look straight-up badass. 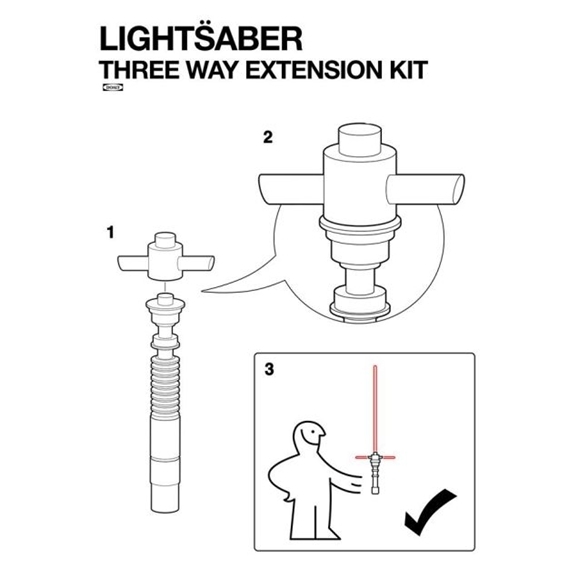 Doaly Design Services art just wholeheartedly embraced the saber’s goofiness. 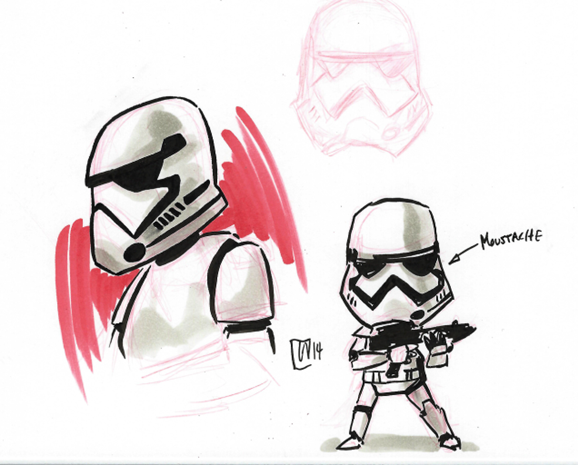 Whereas Corwin Webb pointed out something you will now never be able to unsee about the new stormtrooper designs. 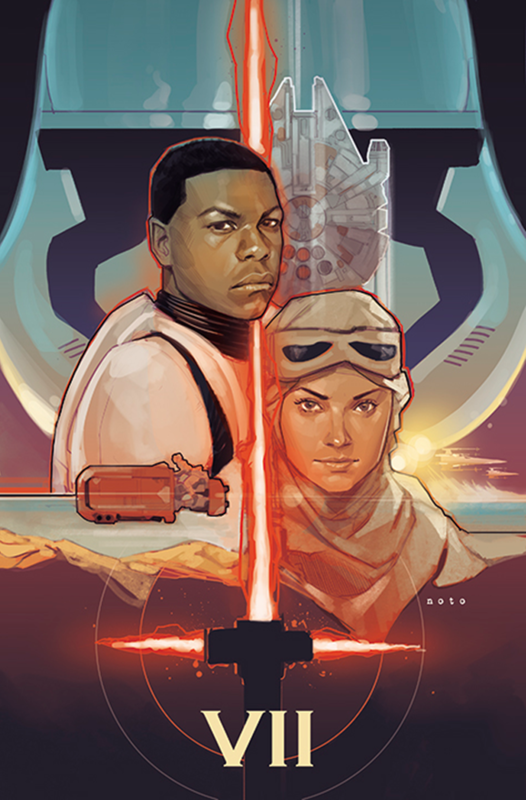 Last but not least, comics artist Phil Noto’s design put the focus on John Boyega and Daisy Ridley’s characters — the ostensible leads for The Force Awakens — in a design reminiscent of artist Drew Struzan’s iconic Star Wars posters. Keep ’em coming, you talented bastards. 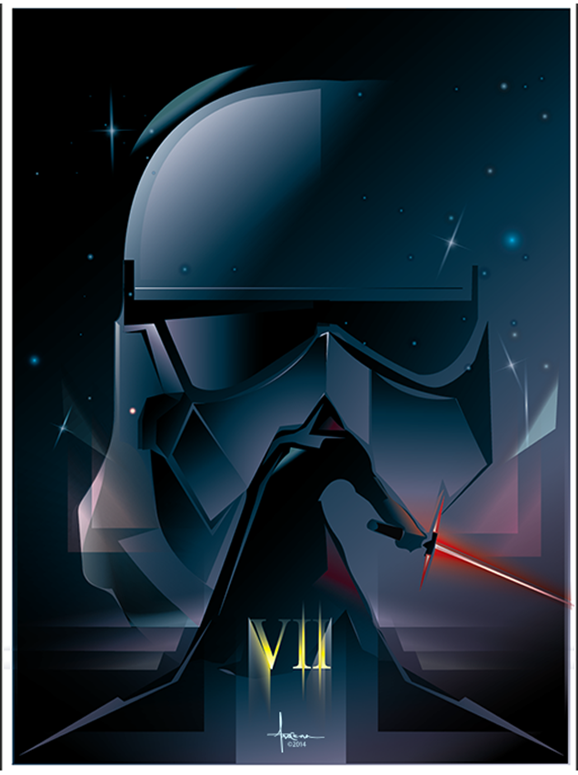 Star Wars: The Force Awakens doesn’t hit theaters until December 18, 2015.